Do you have further questions about our rental procedures? Perhaps you need useful event planning tips? 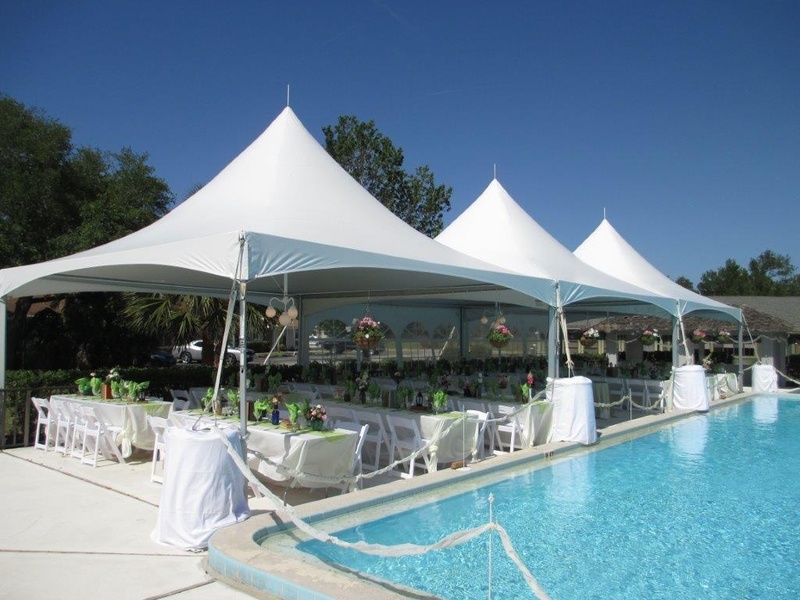 Feel free to contact Kayla’s Event Rentals in Prattville, AL so we can assist you. Read through this page to get instant answers to your concerns. If your inquiries are not fully addressed on this page, don’t hesitate to give us a call. We are more than happy to help. Most prices quoted are for a one-day event. If you desire to use rental items for a longer period, please call our office for long-term rates. All charges are for time out, whether used or not. Payment is due before items are released to a customer. A 50% deposit is required on the initial order, the balance due upon release of the order, or in the case of deliveries, 3 days prior to delivery. When should I make my reservations? Early planning ensures product availability. We ask for a 50% deposit to confirm a reservation. The reservation fee is your assurance that the items requested will be available on the day you request. We will turn other people away to accommodate your reservation; cancellations can result in forfeiture of your deposit. Please be sure of your plans before making reservations. What about changes in my order? Additions are welcome based on availability. Small deletions prior to delivery (except tents) can be accommodated. Major deletions can result in forfeiture of deposit. Is there a charge for delivery and pickup? Delivery and pickup are available. Delivers made outside of Prattville, AL are subject to a delivery fee. Set-up and knock-down services are available at an additional charge, and should be arranged in advance. Please call our office for rates and scheduling. When will my merchandise be delivered/picked up? The delivery and pickup dates will be noted on your reservation contract by our consultants at the time you place your order. What time of day will the merchandise be delivered/picked up? Our delivery trucks have many stops to make during the day. Schedules are made several days ahead. Delivery and pickup times are determined at the time of your reservation. Can I make changes to any order if it is being delivered? Additions made before 12 noon on the day before a scheduled delivery are welcome. Subject to availability may incur extra charges. What if I am not home when the truck delivers/picks up? If you know you will not be home, please call our office with instructions as to where the merchandise is to be left. If you are not home and we have no instructions, it will cause a delay and an extra cost to you for rescheduling a truck. Standard delivery/pickup charges are to tailgate drop off. If delivery/pickup is to be made to a specific floor or area, an additional labor charge may be incurred. Our personnel is instructed to neatly stack all items in a mutually convenient place. Set-up and take-down services are available for an additional charge. These arrangements MUST be made in advance of delivery and pickup. What is my responsibility for merchandise return? Responsibility for equipment remains with the renter from time of receipt to time of return. Tables and chairs should be knocked down, stacked, and ready for pickup. Items not meeting these conditions are subject to additional fees. Linens should be waste-free and dry to prevent staining and mildew. Laundry bags are provided with linen orders; please return them in those containers. Mildewed linens returned in plastic bags will be charged to the customer. We do charge for missing, broken, damaged, and weather-damaged items. Be sure equipment is secured when not in use and protected from the weather. We’re here to help! Just let us know how our event professionals can assist you. How many guests are expected? Will they be seated or standing? ​Will the tent be used with another building? For example: a patio or a porch. ​What special needs have to be met? For example: a dance floor, a band, head tables, bar area, etc. Décor and design elements create an overall “look and feel” for an event – transforming an otherwise bare or drab space into one that “wows” guests when they walk into the room for the first time. A well-designed event truly differentiates it from others. Event design should be well thought out in advance. Continue branding your event by taking the themes, color scheme, and messaging you used in your marketing and translating them into the look of the event. Décor should be appropriate for the type of event, the audience, and fit your budget. Coordinate printed materials with the overall look of the event. Examples of print materials as décor include menu cards, programs, place cards, and table numbers. The most important thing to remember when tackling event design and décor is to have fun and be creative! Don’t be afraid to use color and mix different patterns and textures together. Table linens and napkins can dramatically change the look of an event. The options are limitless, from basic fabrics in every color of the rainbow to linens with texture and pattern in luxury fabrics. For a pop of color on a small budget, choose neutral-colored table linens and bright-colored napkins. Uplighting creates a wash of color on the walls. Choose one color (like red) or select a lighting that changes color throughout the night. Lights strung from the ceiling on a truss can create a spotlight effect from above, and can be used to draw attention to banquet tables, floral centerpieces, and the speaker on stage. There are many other ways to incorporate lighting into a room. Floral centerpieces add interest and detail to your tables. Tell your florist what your color scheme is, so he/she can coordinate the florals. Continue the pop of color by choosing flowers in the same color family as your napkins for simple yet attractive event design. Black and white dance floor is just the right touch for the special indoor event. Risers can create a stage or bandstand audio visual reminders. Lighting can be adjusted from within the room. Pretest all equipment prior to event. They are an excellent way to enhance the excitement of your event – whether corporate or personal. Choose games that are appropriate to the theme of your event and targeted age group. Add to your party atmosphere with a popcorn, hot dog, and snow-cone machine. Choose among the wide-ranging event equipment and party supplies we offer here at Kayla’s Event Rentals. To make your event preparation hassle-free, we can lend a hand in identifying which materials will go best with your type of event. Just reach us via phone or email to discuss your event details. We will gladly walk you through your options depending on your requirements and preferences.